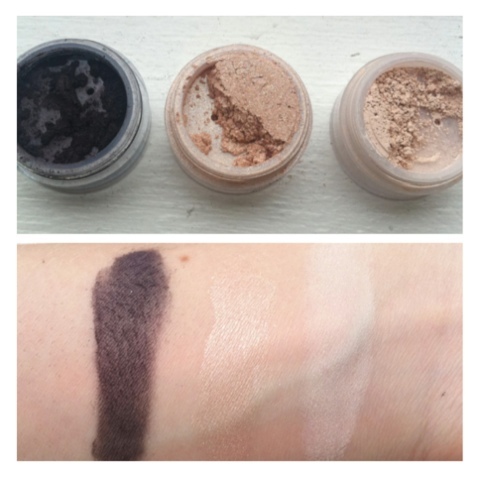 Top photo - Carnevale, a sparkly dark aubergine eye liner. Venus, a pink and gold shimmery eyeshadow. Daphne, a matte pinky-beige eyeshadow. 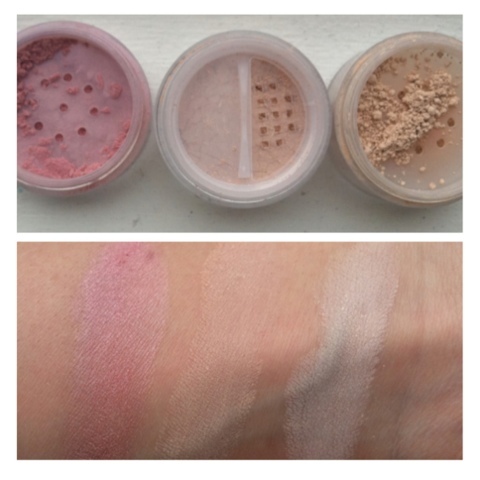 Bottom photo - Lotus, a shimmering cool-toned pale pink blush. Satin Matte Foundation in Cool 3. Satin Matte Foundation in Cool 2.